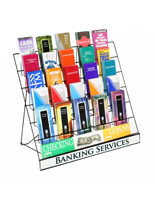 These countertop leaflet stands feature a lightweight construction for easily positioning and repositioning the fixture. 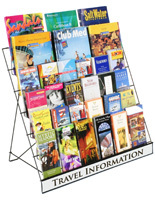 Floor standing brochure racks are freestanding literature holders for retail stores, trade show booths and information centers. 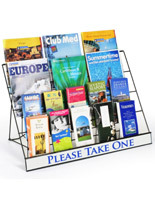 Leaflet stands with a solid wire construction, also called magazine holders, will accommodate both 4" and 8.5" printed materials at the same time. 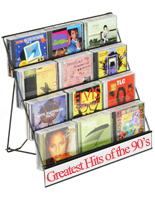 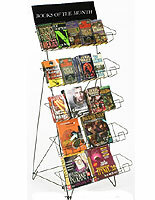 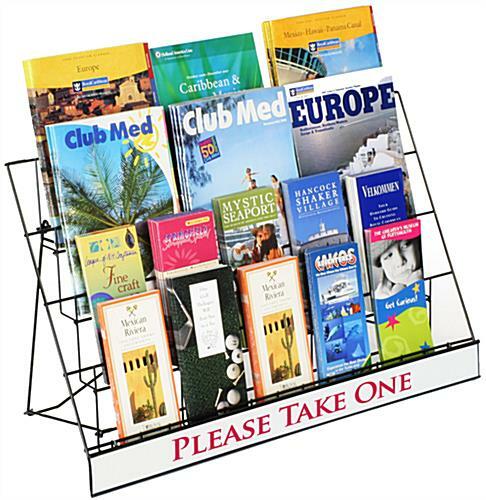 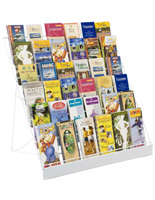 Freestanding brochure racks have four tiers for arranging the different catalogs and tri-fold pamphlets. 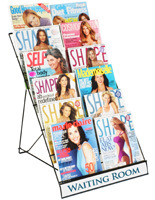 Stands include a sign channel that will accept custom 29"w x 2.5" signs. 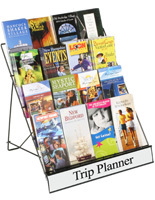 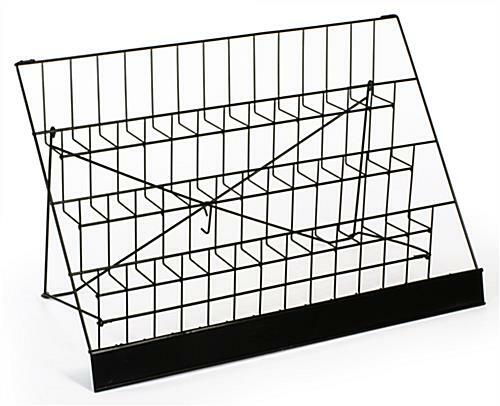 Magazine holders have a powder coated black finish to coordinate with almost any décor.